Bjørn Johs. Meidel Hansen (1964 – )is a painter born in Bergen, Norway and is described as a classic, figurative painter, who strives to replicate the timeless painting, where craftsmanship and dissemination of the story is the driving force. The painter began in the late 70s drawing and later had training from among others; Anne Lise Gjøstøl (painter/musican) and Medi Farmani (painter) For many years he has study Odd Nerdrum`s painting techniques. 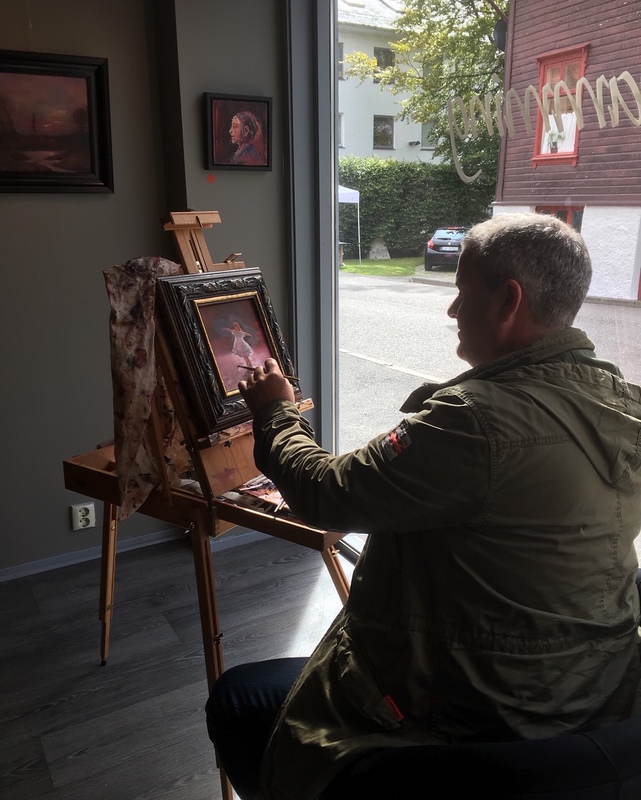 In the Spring of 2009 he gained entry to Odd Nerdrum, Rødvik Gård in Stavern, where he has been given training by the master himself. He have workshops in landscape/portraitpainting. At present,his work is found both in public and private collections. Bjørn Johs.Meidel Hansen lives in Os municipality outside Bergen. In addition to painting he also works offshore as a Service Engineer with TechnipFMC.